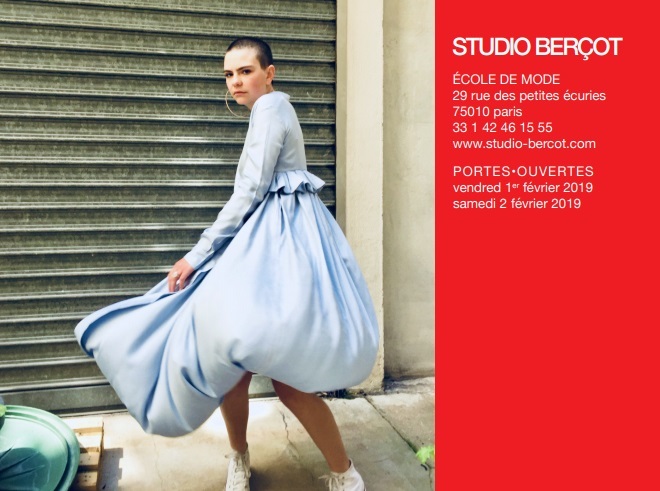 Studio Berçot is a private training firm created in 1954, based in Paris and related to French fashion schools. Studio Berçot was founded by Mrs. Suzanne Berçot in 1955. She trains mainly fashion designers. Marie Rucki, her former student then assistant, took it back in 1971. While maintaining its basic original character, it develops the creation and styling. Since then, many fashion professionals, at the end of Studio Berçot , have had important and noticed careers. The training is spread over three years: two years of practical and theoretical courses, a third year of professional integration. All courses are connected and intended to converge towards a fashion thought closer to reality. On a practical level, it is a question of defining the aptitude of each one to conceive and to diffuse the personal vision of an environment applied to the aesthetics of fashion.